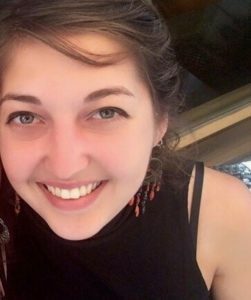 My name is Amy Abelmann, and I am a Dutch master student of the Cognitive Neuroscience research master at Radboud University. Currently, I am doing my internship at the EPAN lab and work together with Bob Bramson on the study “Influencing social-emotional action using combined tACS-fMRI”. In this research we investigate whether control over social-emotional behavior can be altered through theta-gamma band alternating transcranial current stimulation (tACS). We are looking at behavioral effects as well as the neural network underlying the control over these automatic emotional tendencies. Before coming to Nijmegen, I did my bachelor studies in Liberal Arts and Sciences at Maastricht University (University College Maastricht), focusing on biology, psychology and neuroscience. Next to this internship, I work as a research assistant in the lab of Floris de Lange on a project that investigates visual perception in children with and without autism. In my spare time you will find me dancing salsa around Nijmegen, organizing trips for me and my fellow students, having (a lot of) coffee with friends, amongst other things.